Passed on to a Higher Plane on September 13, 1987. 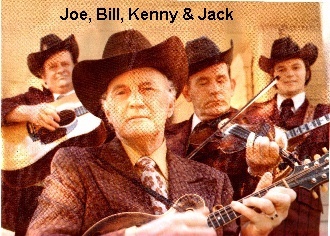 It is assumed that Joe and Bill Monroe are back together/This time Joe has the seniority. 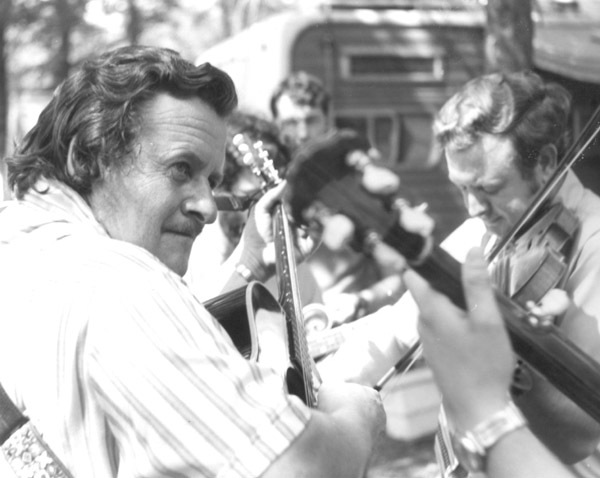 Joe Stuart was the most versatile bluegrass musician ever. He was the son of Joe,Sr. and Rena Best Stuart. 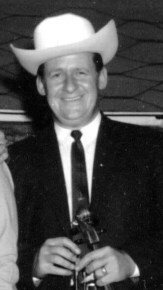 His musical career started out in Knoxville, TN on shows such as Cas Walker's radio program. 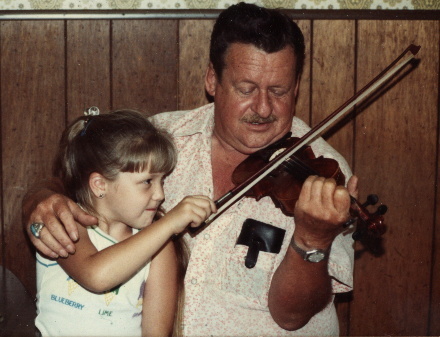 From there he went on to work as Bass Fiddler for Lester Flatt and Earl Scruggs and their Foggy Mountain Boys. Along the way, he worked with about all the GOOD bands and finally landed a job with Bill Monroe as a Blue Grass Boy on the Grand Ole Opry in Nashville,Tennessee. Joe played all the bluegrass instruments and due to a broken collar bone, Joe's first job was as a fill-in Mandolin player. 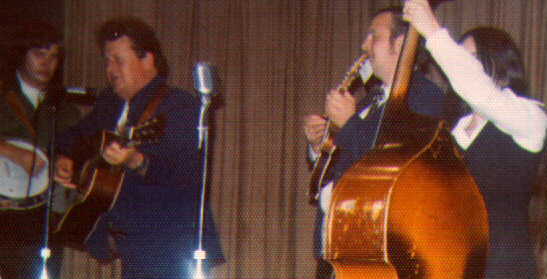 Later he played and recorded on all the other instruments with Bill Monroe. Joe was not only a "picker"; he was a terriffic "picker-upper." He always had a smile and kept everybody in good spirits on the road, regardless of the situation. Although he never made great fame or fortune, he was nearby in the shadows of many of those gleaning the glory. Joe once tried professional stock car racing but quit after he had fairly won at Talladega, only to be disqualified by crooked officials. Joe fought cancer, appearing to win that battle for a while, but succomed to head tumors in September of 1987. 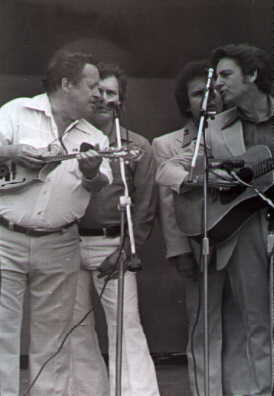 Ironically, he passed away on Bill Monroe's birthday. He left behind a wonderful wife, Kathy, and two lovely daughters, Jenny Lynn and Brendaline. 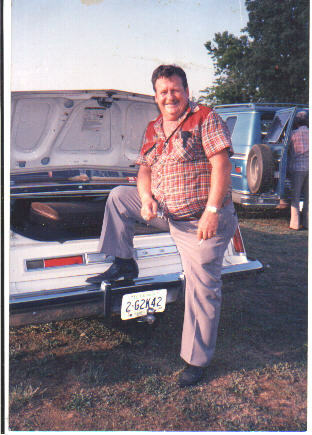 Joe had often told us, "I want Bill Monroe to sing John Henry at my funeral; and sing all the verses." As Joe had requested, Monroe sang 25 verses at the funeral at the Forest Lawn chapel just North of Madison, Tennessee on Dickerson. His remains are buried there. Joe's own number, "It's A Lonesome Road To Travel On" tell his story best. The photo of Joe was made at Bean Blossom, Indiana around 1974 by Jim Moss. Joe Stuart playing with Bill & Wilma and their Snowbird Mountain Boys at the old Stecoah School Auditorium, Graham County, NC; now Stecoah Valley Center. Goodbye Joe is a song written by Bill Millsaps and Rick Campbell, lamenting Joe's untimely passing. Bill Millsaps recorded it in 1990 for API Atteiram records and some of Joe's close pals, Kenny Baker, Uncle Josh Graves, John Hartford and Roy Huskey played on the session. CLICK ON THE LINK "GOODBYE JOE" above for the lyrics. This Celebrity Page was made by Tripod member BILLandWILMAMILLSAPS.